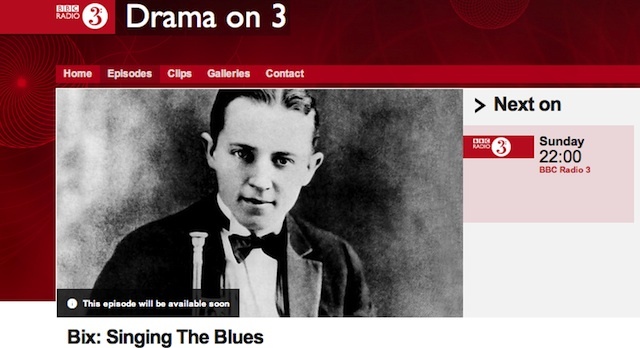 Denys Baptiste has been interviewed on BBC Radio 3 to provide a bit of a prelude to a new BBC Radio 3 drama, Bix: Singing The Blues by Robert Forrest to be broadcast this Sunday 17 November at 10.00pm. Set against a backdrop of racial and musical segregation in the 1920s, the play gives a fictionalised version of the one and only time Bix and Louis Armstrong played together in a private, after-hours session. Apart from their genius, the musicians Bix Beiderbecke and Louis Armstrong had little in common. Armstrong was black and Beiderbecke was white and musical segregation was complete in the 1920’s. Armstrong would go on to be one of the first musicians to challenge this racial divide, and his life story is well documented. Beiderbecke was an alcoholic who died young – but perhaps his greatest tragedy was that he never got to play with the best – because in his view the best were black. This entry was posted in Artists 2013, Blog, Denys Baptiste, Lively Up 2013, Now Is The Time...Let Freedom Ring!, Press Reviews and tagged BBC Radio 3, Bix Beiderbecke, Denys Baptiste, Jazz, Louis Armstrong, segregation, trumpet on Sat 16 Nov 2013 by tomorrowswarriors.